The International Lactation Consultant Association® (ILCA®) and the World Alliance for Breastfeeding Action (WABA) are pleased to once again jointly sponsor the exciting opportunity for a Fellowship to travel and work with WABA on outreach and advocacy projects at their headquarters in Penang, Malaysia. ILCA has designated this annual Fellowship as the Chris Mulford WABA ILCA Fellowship. Chris had been an ILCA member and helped to guide the birth and growth of the profession with a gentle spirit and wise leadership. Chris first joined WABA in 1996 at the first WABA Global Forum in Bangkok and became a long term volunteer for WABA. She worked mainly to support working women to breastfeed globally. She also paved the way for the first WABA‐ILCA Fellowship, in 2007. 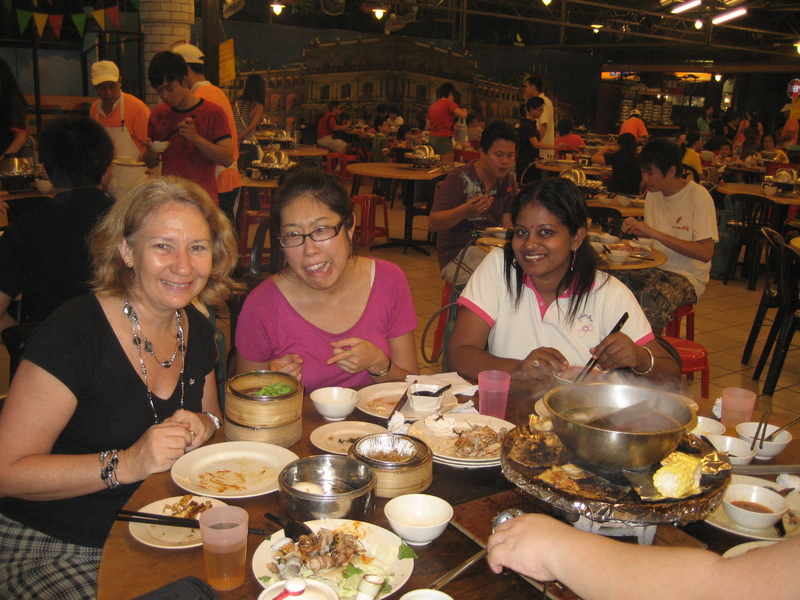 At Lactation Matters, we are proud to highlight this post, by Geraldine Cahill, a recent fellow, about her experiences in Malaysia with WABA. For more information about applying to become a Fellow, please see this document. The deadline for applications is 16 February 2015. I am the 2014 Chris Mulford WABA/ILCA Fellow. As a part of the fellowship, I recently traveled to Penang, Malaysia, and I would like to share about my time with the WABA staff. Hopefully, my experience might encourage some of you to consider this opportunity in the future. I applied for the fellowship in September 2013 and was told that I had been chosen in November. I felt so honoured and worried whether I would actually be able to do justice to the work that I was going to be asked to do. I set off for Malaysia at the very end of May, where I was met at at the airport and was taken to the wonderful apartment I would be staying in for the duration. This apartment was in the centre of the city at Penang Times Square. This new development is situated on the grounds of an old tin mine and smelting works. A McDonald’s occupies the building next door, which was the old colonial home of the owner and manager of the smelting works! My apartment would be shared, for part of the time, with Jerusalem Bereket, a young college intern from Jacksonville, Florida. The apartment had a swimming pool and it was glorious to come back from work most days and head to the pool to cool off. Penang is an interesting place with a mix of East and West; tall modern skyscrapers and yet, when you walk around, you are very aware of the Eastern culture with temples and places of worship all around. I visited the several temples during my time in Malaysia including the Cave Temples in Ipoh on the mainland and Kek Lok Si and the Snake Temple in Penang itself. There are three distinct cultural groups in Penang: Malay, Chinese, and Indian and they all contribute to the atmosphere, both in their dress and food. 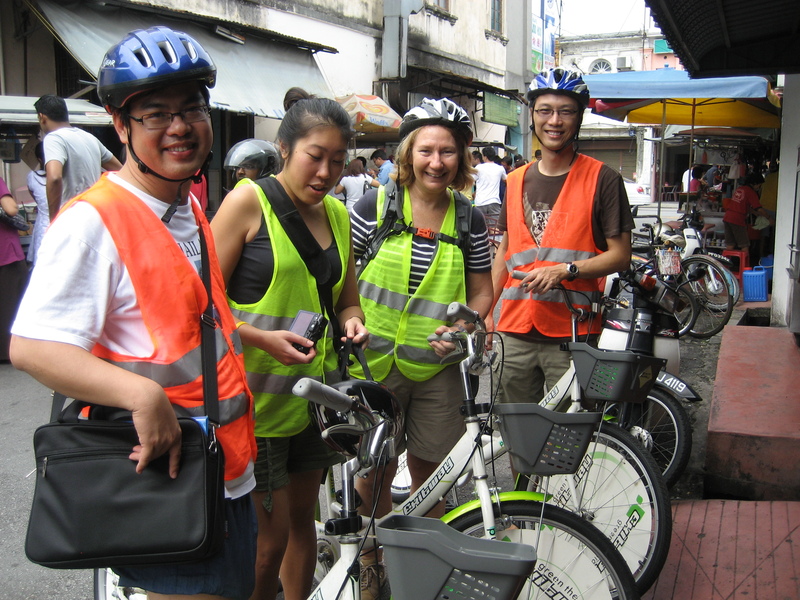 Most people in Penang speak 3-4 languages: Malay, Hokkien, and Tamil as well as English. They may not be fluent in all of them but would have a good working knowledge and be able to communicate across a number of languages. The food in Penang is pretty spectacular! I did not visit even one “fancy” restaurant but rather, I ate street food all the time. Even so, the food was of the highest standard everywhere I went. The work was also an interesting mix. WABA is primarily an advocacy group and is, of course, the organiser of World Breastfeeding Week. The preparations for this were in full swing when I visited, with scores of resources being prepared to send to the some of the 179 countries which were holding events this year. WABA provides resource materials particularly to the very poorest countries in the world and they are a central hub for breastfeeding resources through their Breastfeeding Gateway on their website. They also have an E-map that shows where mother support groups exist all around the world. They also have an amazing photographic resource that is available from all the WBW events and which can be accessed by ILCA members by emailing peiching.chuah@waba.org.my. In my time with WABA, I was able to work on fact sheets, help to monitor and update links on the Gateway site, did some preliminary work on a Toolkit/Checklist focusing on competencies in breastfeeding skills for healthcare workers and did some teaching for the local Mother support group by providing a 3-day workshop for their peer supporters. I generally helped out as needed in the office and also attended some Steering Committee meetings as an observer and and was able to present at the Health section of the WABA meeting. The six weeks I was in Penang was one of the most memorable experiences I have ever had. I enjoyed every part of it and loved meeting new people and becoming more aware of the invaluable work that WABA does worldwide. I hope you consider applying for this opportunity of a lifetime.